Home Enlivening Is It The Truth You Speak, Or Something Else? 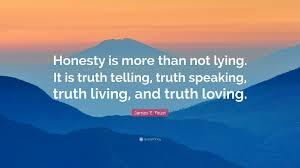 Is It The Truth You Speak, Or Something Else? Is it words to unload their fears, place blame, question your purpose in their life, or other nonsense they are not spiritually mature enough to take responsibility for? Honesty that is of positive service is something that involves prolonged training, deep internal observations must be understood and identified.